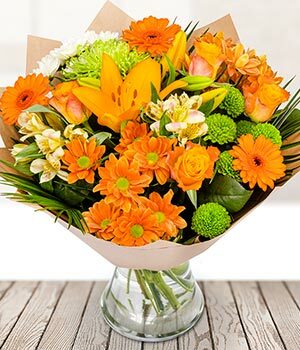 Sorbet – a glorious amber and orange bouquet, courier delivered. A glorious medley of orange and amber blooms create this scrumptious bouquet. 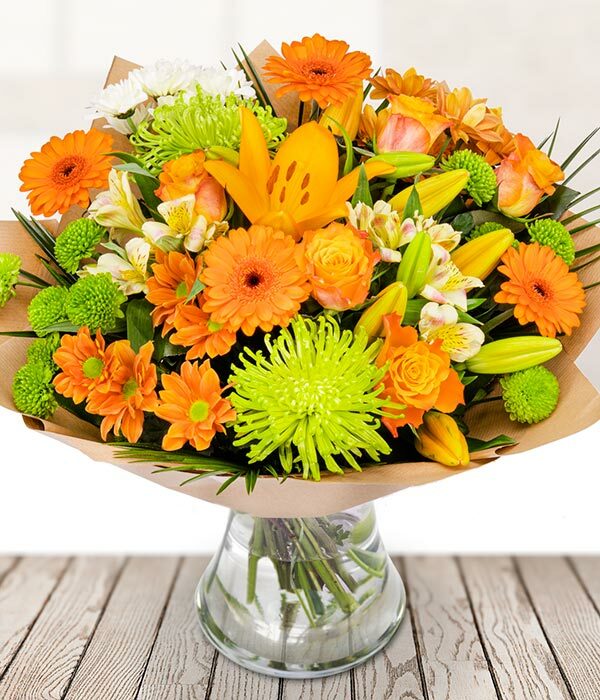 Featuring the freshest roses, gerbera, Chrysanthemums and seasonal foliage. Lovingly hand crafted then carefully packed in a specially designed flower box. Your bouquet will be delivered by our specially selected courier.